Written by Gregory on Feb. 13, 2017 in News. It can't be denied that we are in a season of Chaos, that primordial wellspring from which springs all sense and nonsense. To celebrate the turning of this season, on the holyday of Chaoflux, consider spending time at the beginning of the end of all things. Purchase Ossuary, an exploration of primordial darkness. 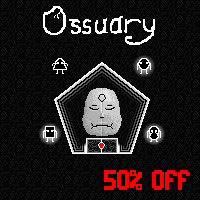 Ossuary will be 50% off on Sunday, February 19 in honor of the Discordian holiday of Chaoflux. Check out this conversation-based, satirical adventure game most places you can download games. 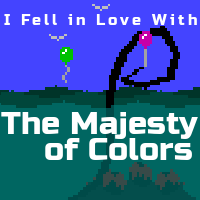 We recommend Itch.io!